Gilly Brew Bar is located in the historic Mayor’s House in Stone Mountain, GA. Husband and wife team Daniel and Shellane Brown have worked together over the last three years to convert this vintage white home into a collection of businesses; the first completed phase was Gilly Brew Bar, a coffee shop with an eclectic coffee and tea menu. Future expansions call for a restaurant under the same roof at The Mayor’s House. A brief profile of Stone Mountain, The Mayor’s House, and the opening of Gilly Brew Company is featured in the video below. As we dug deeper into this project, we quickly realized that we are positioned between a rock (Stone Mountain Park) and a hard place (City Hall Municipality). The largest stone mass in the world sits in our backyard, and it draws millions of visitors year round, making it Georgia’s top tourist destination. However, Stone Mountain Village is arguably one of the most negatively branded cities in America. Ironically and unfortunately, this mountain has also been the canvas of the largest confederate monument in the United States. This message has been very difficult to ignore, and for many, nearly impossible to forget. The racial divide and questionable history here have resulted in an under-developed downtown area, and dying sense of community. This is where our vision steps in: We believe that this property and dream will become the catalyst for transformation in Stone Mountain, GA. In a true sense of community, Daniel Brown also envisions The Mayor’s House to serve as a collaborative work environment for local area entrepreneurs and business owners. I had the chance to visit The Mayor’s House and Gilly Brew Bar a couple of weeks after it held its grand opening in June 2018. Photos from my visit to Gilly Brew Bar are below. Daniel Brown, owner of Gilly Brew Bar, prepares my order. The Jamaican flag and the Union Jack are a reminder of Daniel’s family/relatives who have called Jamaica and the U.K. home. The drinks at Gilly Brew Bar are based on a cocktail approach (they are called elixirs). The elixirs are rotated seasonally (a selection of the fall and winter elixirs appear on Gilly Brew Company’s YouTube channel). The summer elixir menu at Gilly Brewing Company. At the counter at Gilly Brew Bar. The Bey, named after (and inspired by) Beyoncé. The coffee and lemonade combination of The Bey was sublime and so very refreshing. I had never thought that lemonade and coffee could go so well together! The Bey at the outdoor patio at Gilly Brew Company. 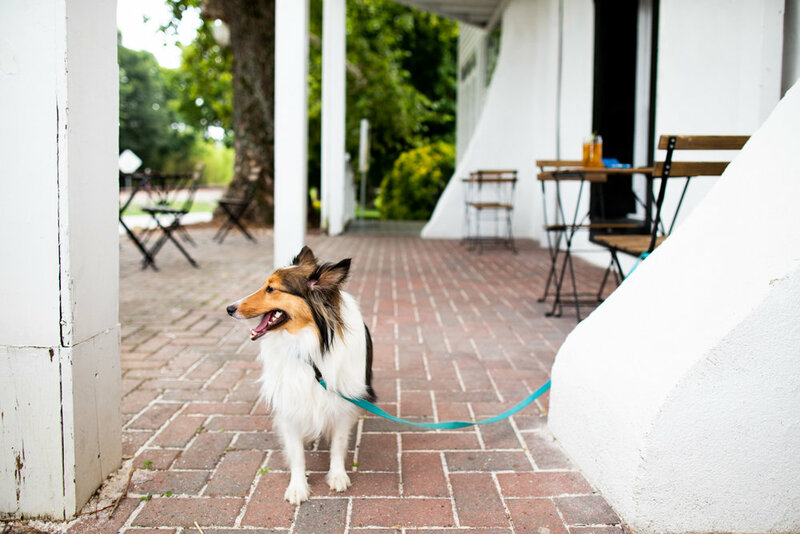 The outdoor patio at Gilly Brew Bar is dog-friendly :-). Looking toward the main entrance of Gilly Brew Bar. The Mayor’s House in Stone Mountain Village was built in the 1800’s and was the residence of Mayor Andrew Johnson during the time of the Civil War. After renovations were completed, Gilly Brew Bar has an upstairs area which visitors can explore and/or drink their beverages. View of Gilly Brew Bar from the stairs leading up to the second floor of The Mayor’s House. 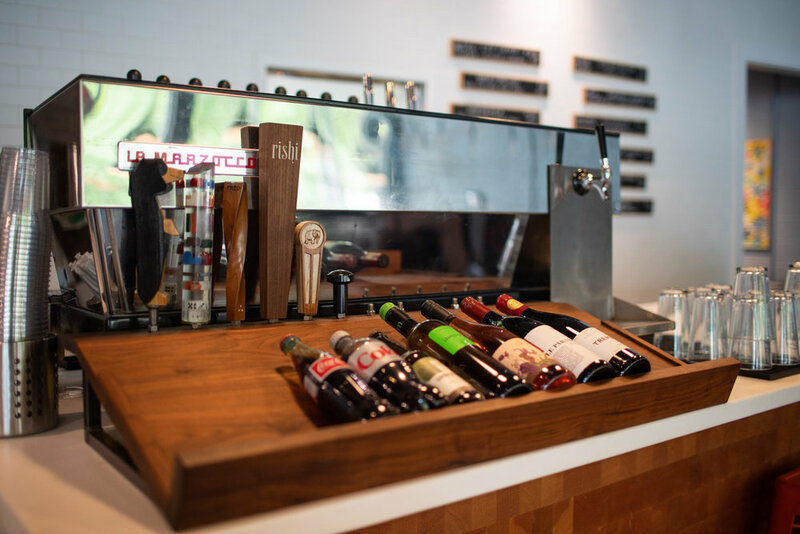 Summer Elixirs were profiled in the second floor of Gilly Brew Bar. The upstairs space at The Mayor’s House has ample sunlight. A natural look—note the moss—adorns the walls of Gilly Brewing Company. Gilly Brew Bar is located outside the perimeter in Atlanta, but it is definitely worth a trip to try their unique take on coffee concoctions with such seasonal elixirs as the Bey, the Hippie, Americoco, and the Gilbert. The beautiful historical setting and the very friendly owner(s) at Gilly only add to the amazing experience there. I highly recommend checking out Gilly Brew Bar if you’re in the Atlanta area. Also, keep an eye out on the expansion of The Mayor’s House, as there are plans for a restaurant to arrive in the space in early 2019. It’s mid-afternoon on the weekend: do you go for a cup of coffee or a craft beer? 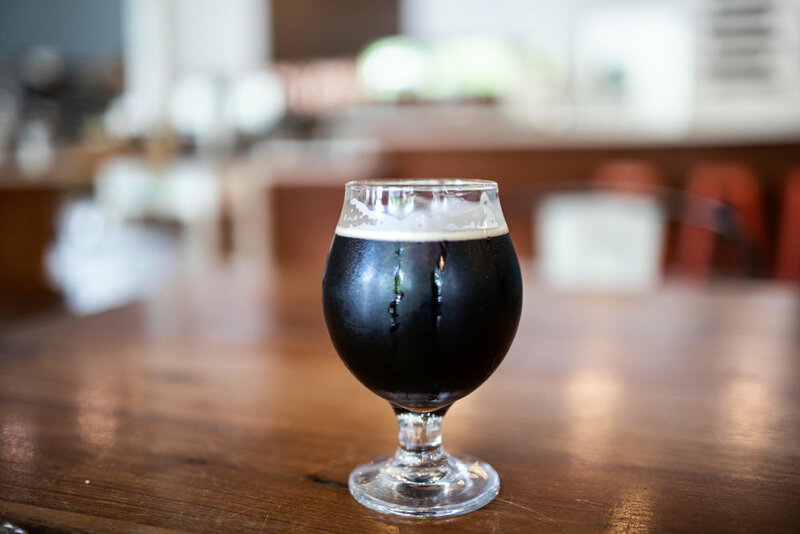 At Taproom Coffee & Beer in the historic Kirkwood neighborhood of Atlanta, the choice is yours: the menu consists of a nice selection of coffee plus seven to ten craft beers on tap (during my visit, I decided to try out one of the draft beers on tap). 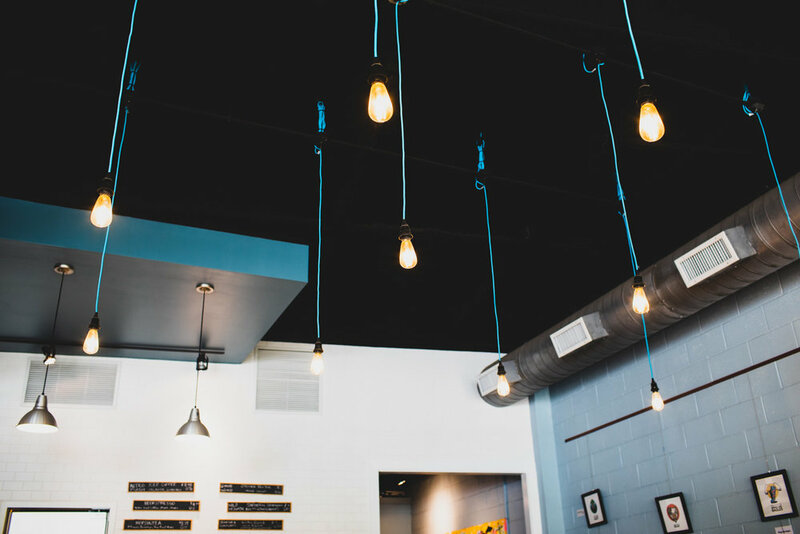 Taproom Coffee is a great local spot in Atlanta tightly integrated into the Kirkwood community. The coffee is from a local roaster (and coffee shop) East Pole Coffee Company, many of the draft beers are from local Atlanta/Georgia breweries, and the pastries and other food items are fresh from another Atlanta-based vendor, H&F Bread Co.
A few photos from Taproom Coffee are below. The exterior of Taproom Coffee & Beer. Interior of Taproom Coffee. The coffee for sale is from East Pole Coffee Company, a local Atlanta coffee roaster and coffee shop. Lights on! The blues add a nice contrast against the golden glow. Taproom Coffee is proud of its Kirkwood location and community. A draft beer I ordered. At the front counter of Taproom Coffee. The coffee/tea menu is straightforward. Coffee for sale from East Pole Coffee Co.
A selection of fresh pastries, cookies, and muffins are available. If you prefer to have your coffee/beer at the bar, Taproom Coffee does not disappoint. One interesting item of note: Taproom Coffee owner Jonathan Pascual advertises his consulting services to help individuals/businesses in starting a coffee business. You can follow Taproom Coffee on Instagram, Facebook, or their blog. Also, there are a number of events happening at Taproom Coffee every month. For example, on 10/23/2018, Taproom Coffee held a free Home Coffee Brewing Class. Check the event page for details on upcoming events. 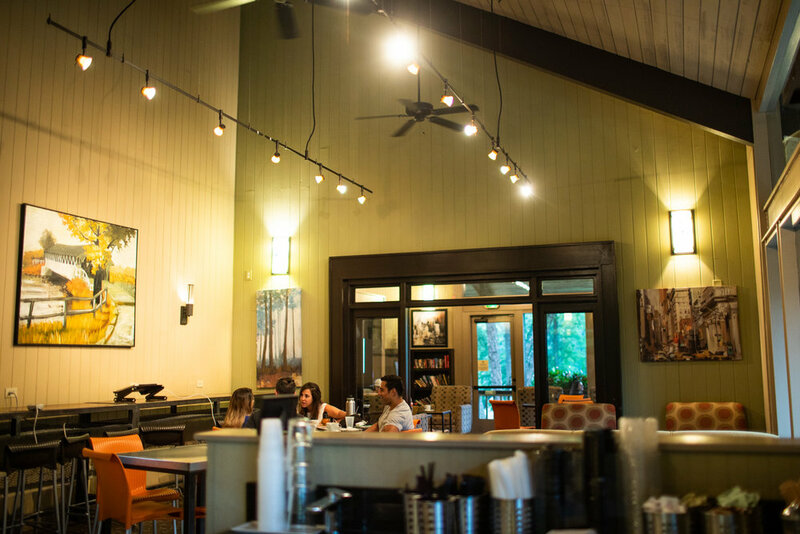 This is what you may expect when you visit Chattahoochee Coffee Company (Vikings location), which offers amazing views of the Chattahoochee River and surrounding forested nature...as well as a delicious selection of coffee. However, to get here is not simply a matter of finding a parking space. The coffee house is located at the back of a residential apartment complex (The Walton on Chattahoochee). There is a gated entry and to get inside the complex you must dial 101 (alternatively, using the arrows on the visitor entry touchpad, scroll down to “Coffee Shop” in the directory). Then say “Coffee” or “Coffee Shop” and you should be granted entrance. It took me about five minutes to figure out the dial pad (never mind that I missed the turn into the complex on my first drive), but it was worth it! If you want a unique coffee experience in a nature setting in Atlanta, definitely make the trek to Chattahoochee Coffee Company in Vinings. The only downside is that the Chattahoochee Coffee Company by the Chattahoochee River is not open on Saturday or Sunday! Otherwise, it’s definitely worth the visit during the work week. Photos from Chattahoochee Coffee Company (Vinings/riverside location) are below. Another angle of the picturesque setting. The main coffee ordering area of Chattahoochee Coffee Company. Espresso drinks, brewed coffee, and tea are on the menu. Chattahoochee Coffee Company serves Counter Culture coffee. Looking around the coffee shop. Coffee on the extensive outdoor patio/deck of Chattahoochee Coffee Company. Outdoor views. Wouldn’t it be nice to lounge in one of those chairs? Another outdoor view from Chattahoochee Coffee Company’s patio. It was a misty/rainy evening, so not a lot outside activity. Some friends chatting over coffee. 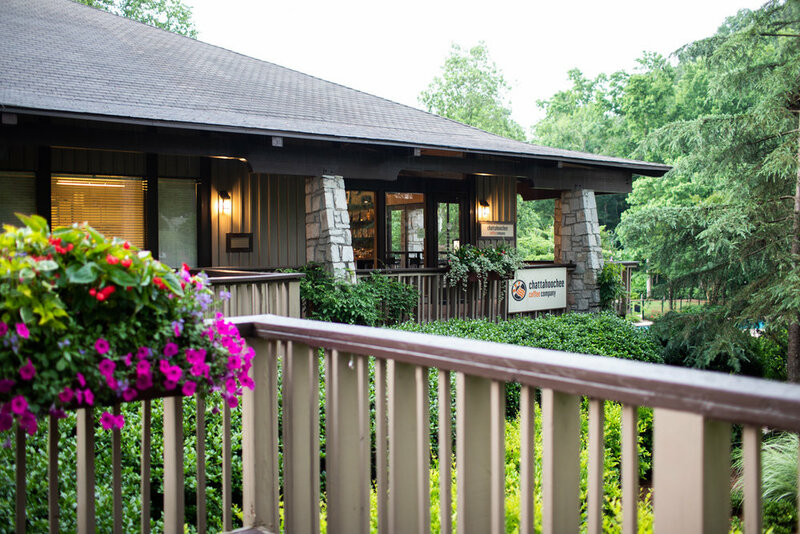 The Vinings (riverside) location of Chattahoochee Coffee Company sits on one of the most picturesque plots of land in Atlanta. It is absolutely worth a visit to taste some amazing coffee and immerse yourself with the surrounding nature. Take a stroll on the verdant grass, lounge on the long porch, or relax on one of the chairs next to the Chattahoochee River. Read a book. Meditate. 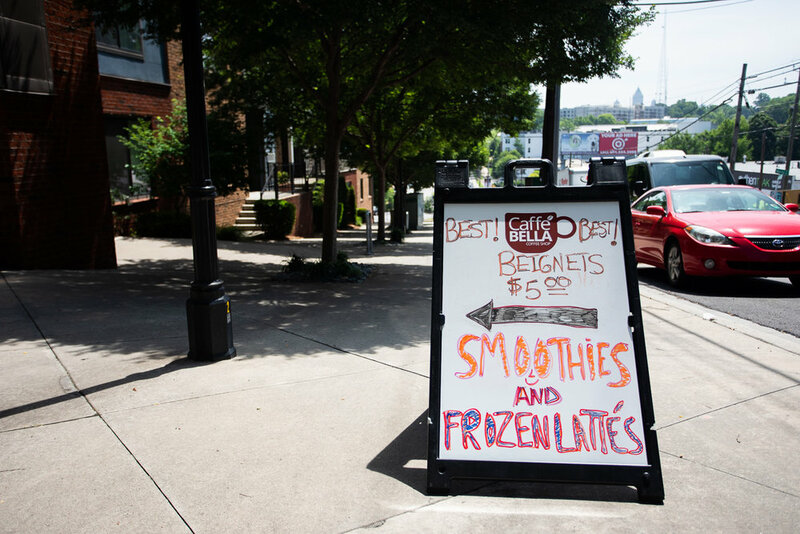 You cannot go wrong at Chattahoochee Coffee Company, perhaps one of Atlanta’s best kept secrets!